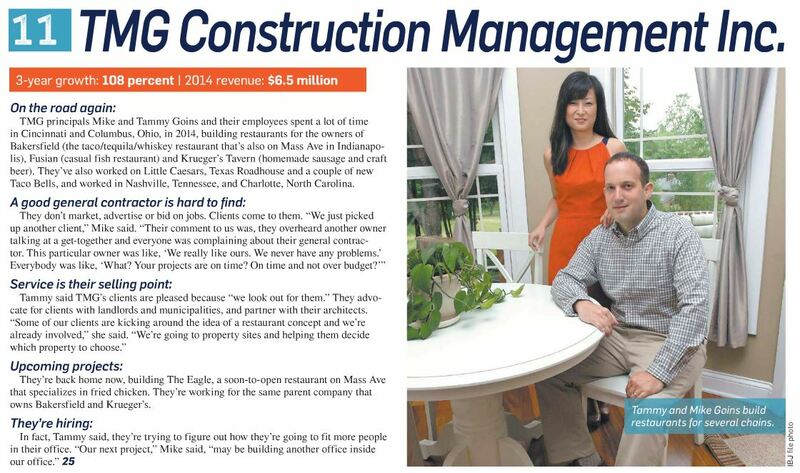 Press: 2015 IBJ FAST25 List | TMG Construction Management, Inc. 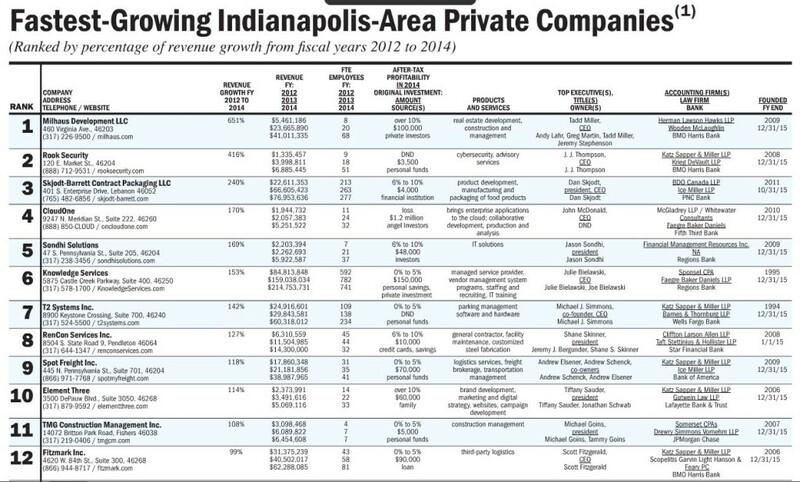 Since 2012, we have been included three times in the Indianapolis Business Journal’s “Fastest-Growing Indianapolis-Area Private Company” list. This ranking is determined by revenue-growth over a three-year period. 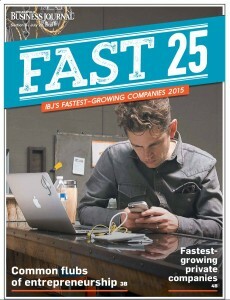 This year, we are #11.